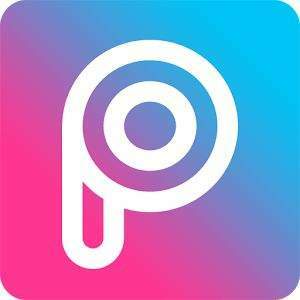 Download PicsArt Photo Editor APK latest version for Android devices from APKWing. It is a free Photography app for Android developed and offered by PicsArt. PicsArt is a #1photo editor app for Android. You can download PicsArt APK for free using the download link given at the bottom of the page. With this app, you can not only edit your photos but also turn them into awesome collage and memes. 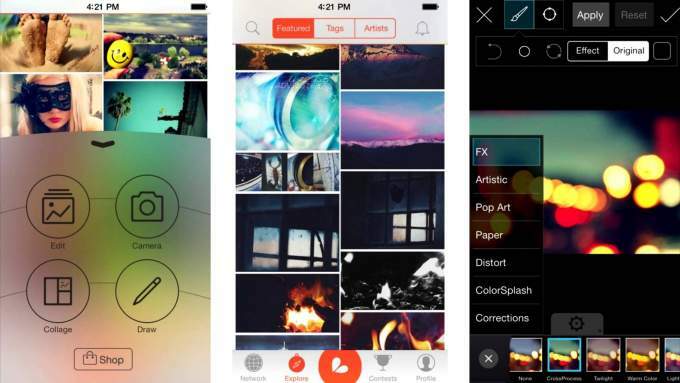 PicsArt app allows users to add effects, filters, background, and frames to their images. In addition to that, you can crop, resize, stretch, add text and adjust curves. It has more than 100s of fonts to add text to your photo and create funny memes. You can also add double exposers to your picture using layers and adjust the frequency as per your need. There are many custom stickers that you can add to your picture. PicsArt Photo editor app allows you to draw over images using the professional drawing tool. With it free-to-edit image remixing tool, you can add a personal touch to your images and share them with the PicsArt community. You can also chat with your friends and edit photos together. The app is free to download and use, however, with an in-app purchase you can get the PicsArt Gold. 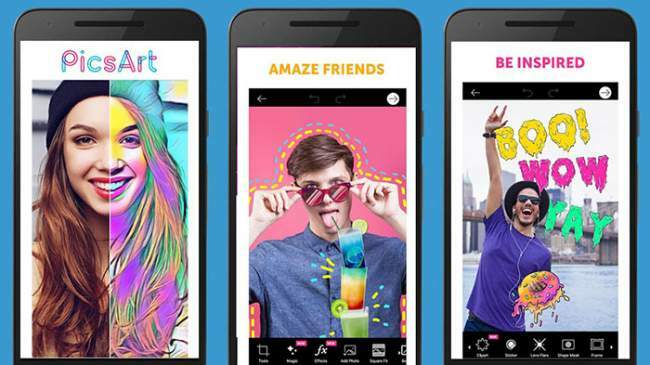 With PicsArt Gold, you can access thousands of premium stickers, filters, frames, fonts, and collages. You can download free apps and games from APKWing. The best Photo Editor tool in Android. Add effects, filter, collage maker, background, and saturation to the picture. Thousands of free and premium stickers. Professional drawing tools to draw, brush, and layer. Easy to use photo editing app. Click on the below button to start downloading the APK file of PicsArt latest version for your Android device.